Clicker training is a gentle, conditional training method that uses only positive reinforcement to teach your dog new behaviors. Find out how clicker training works and how to use this simple method of obedience training with your smart little Sheltie. Clicker training is a gentle training method that uses only positive reinforcement to teach your dog new behaviors. All you need is a good clicker and an understanding about what makes this easy dog training method work so well, especially with intelligent dogs like Shelties. I'm going to help you get an overview of clicker training here, plus everything you need to get started. Now, a little clicking noise may mean nothing to you or your dog right now. 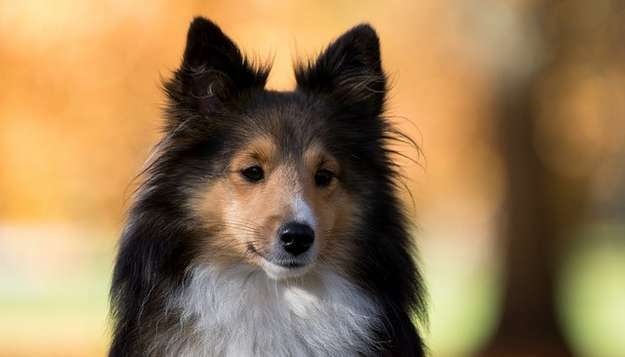 But with simple training, the click ingrains the habit for your Sheltie to listen and react to your commands. Its simplicity is key: once entrained, the click tells your dog to listen up. Through psychological conditioning (a most natural way for your dog to learn) you can instill new behaviors and commands. The basis of clicker training is a two-stage process of learning and reinforcement. This psychological behavior has been studied in humans and animals for decades. If you tell your Sheltie to "sit" and he sits down, he immediately gets a click and a small treat. This is called operant conditioning. What's happening here? Your dog did what you told him to do because he anticipated a treat. He's learning through consequence. After a while, when you tell your Sheltie to "sit" and he does so, he gets only a click and no treat. Yet he still performs the behavior because he has become habituated to a click leading to a treat. He will work hard to get that click! Even though you no longer provide a treat, you have instilled an automatic behavior in your dog. He is no longer driven by consequence - but by association. Shetland Sheepdogs are known first of all for their sunny and sensitive disposition... unfortunately they're also known for their full-bodied barking that, if left unchecked, can drive you absolutely crazy. Here's how to stop your Sheltie barking with clicker training. Encouraging your Sheltie to bark may sound counter-intuitive. But it is actually proven very effective. Prepare your clicker and some really irresistible treats out of view of your dog. Then, trigger the barking by saying "Speak". You may have to hype him up a little the first time to get him to talk back to you. Then, while your dog is barking, click and promptly give him a treat. As soon as he takes the treat, make a hushing motion with your hand right to his face, and say "Shhh!" Since you just gave him a treat, you will firmly have his attention. Click again for giving you that attention, move your hand away, and give him another treat. When he inevitably barking starts again, click during a bark and give a treat. As the dog swallows, make the hushing cue, click and give the treat. Repeat this sequence every time your dog barks. If this method makes no sense to you, consider it from your dog's perspective. As the "Shhh" command starts to work, your dog will want to keep his mouth closed in anticipation of the next click - and the treat. The new cues are sure to become permanent if you keep the clicker and treats within reach. Reinforce "Speak" and "Shhh" anytime your Sheltie barks over the next few days. A little persistence over the next week can pay off big time for years to come. You're reinforcing good behaviors instead of correcting bad ones. This creates a happier dog who enjoys training - rather than fearing doing something wrong. You're teaching your dog to offer good behaviors voluntarily, instead of luring and commanding the dog. He participates in training with his own free will. It's easier to train new behaviors in a clicker-trained dog because of a process called generalization (transferring the same feelings onto a new stimulus). New behaviors can be entrained very quickly. Clicker training becomes a lot of fun once your dog becomes "clicker wise". He knows the rules of the game and can thoroughly enjoy his new position. Many dog owners like clicker training because it's easy to learn and never involves punishing your dog. If your dog doesn't perform the desired behavior, you simply don't click. He'll quickly learn what to do in order to get the positive response he needs from you. Naysayers of clicker training say they want their dogs to do what they're told out of respect rather than desire for a treat. Unfortunately, what they call "respect" can mean negative reinforcement, in other words punishing, yelling at, or scaring their dog. What's more, treats are used ubiquitously in dog training, especially when reinforcing a new command or behavior. Clicker training is no different in this respect. The reason the clicker method works so well is because, like humans, dogs ultimately seek pleasure and avoid pain. The are driven by the law of consequence and whatever serves them best. This can mean getting a reward (by clicking, praising, and/or treating) or avoiding a punishment (which I don't recommend because it's cruel and unnessecarry). By only using positive reinforcement used in clicker training, everyone's happy. Best of all, the ultimate goal of clicker training is (once you have ditched the treats) to ditch the clicker too. This means your dog always reacts to your commands out of habit. As a dog owner you will agree that is a joy to behold. Good luck and enjoy clicker training your Sheltie!